Dr. David Wallace – The New York Times compares David’s solo improvisations to “Jimmy Page fronting Led Zeppelin.” After fourteen years as a professor at the Juilliard School in NYC, Doc Wallace is the Chair of the String Department at Berklee College of Music in Boston. 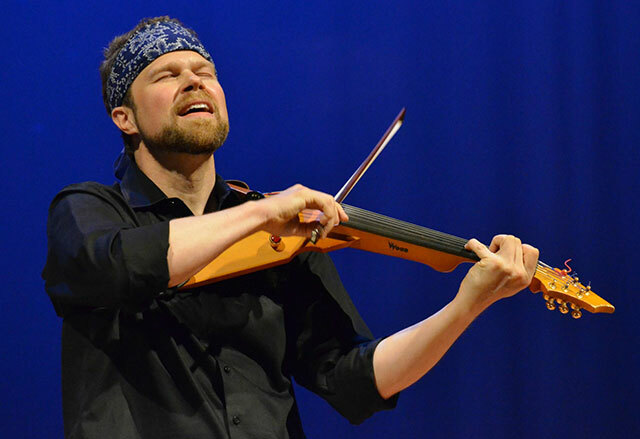 A Senior Teaching Artist for the New York Philharmonic, David is an internationally-touring musician; an award-winning composer; and a master teaching artist who has performed, consulted, and authored curricula for dozens of performing arts institutions. A short list of David’s clients and presenters includes Carnegie Hall, The Chamber Music Society of Lincoln Center, the Los Angeles Philharmonic, the New York Philharmonic, the Tanglewood Music Festival, Young Audiences, Midori and Friends, the Boston Symphony Orchestra, and the Pittsburgh Symphony.